The sharp seven-fold growth of the population of the Earth in the twentieth century has created one of the gravest global problems of present – the lack of fresh water, the source of all life. Around the world, 748 million people lack access to a clean drinking water source, while billions more lack drinking water that barely meet safety standards, according to a UN report released in 2015. The Food and Agriculture Organization (FAO) forecasts that more than 4 billion people will be living under serious water shortages by the mid-2030. With its limited water resources, the Central Asia states may also face sharp decreases in water supply in about 35 years as a result of global warming and drought. The water resources will decrease after 2050 in some regions of Central Asia, estimates professor Martin Hoelzle of the Alpine Cryosphere and Geomorphology Research Group at the University of Fribourg (Switzerland). Glaciers high up in the mountains hold an enormous share of the overall drinking water sources of Central Asia. Up to 85 percent of Kyrgyz's water reserves, for example, come from glaciers. However, the fresh water reserves in Kyrgyzstan are significantly declining on an annual basis. Kyrgyzstan’s main reserves of fresh water concentrate in its glaciers, which hold about 750 billion cubic kilometers of fresh water. Hoelzie noted that the water reserves in the glaciers would be enough to cover only up to 2050, after which some parts of Central Asia will suffer from a water deficit. The climate in this region is dry and the lack of water will exacerbate the situation. The mass melting of glaciers will result in a reduction of water reserves, producing undesirable water resource-driven political problems in the region. Kyrgyzstan glaciers have decreased by 30-35 percent over the past 30 years. Experts predict that the glaciers will further decrease by a quarter or more. This is very dangerous situation as 30-35 percent of the country's rivers depend on the glaciers. The situation in the world is becoming even worse year by year and the issue of fresh water could be the reason for possible serious conflicts between states in the near future. Meanwhile, the process of erupting local conflicts in Kyrgyzstan, which holds up to 40 percent of the fresh water of Central Asia, has already become a reality. The tense relationship with neighboring Uzbekistan and constant disagreements with Tajikistan and Kazakhstan over fresh water issues frequently occur in the region. Being the world's fifth largest cotton exporter and sixth largest producer, Uzbekistan with population of more than 32 million people, significantly depends on the Kyrgyz waters needed for its agriculture production. Uzbekistan and Tajikistan have already started to argue over water issues. Melting glaciers also pose another problem to Central Asia – frequent natural disasters. Hoelzle says that this may add more moisture to the atmosphere in a warmer climate, certainly bring unexpected 'surprises' in the form of frequent floods. "Currently, we observe the poor condition of the glaciers," he adds. 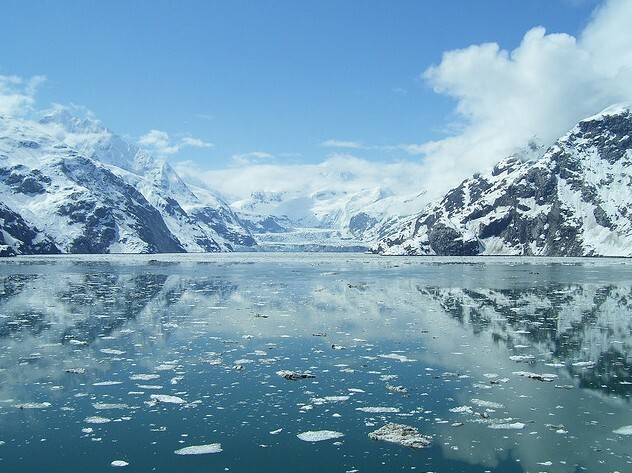 The melting of glaciers accumulates more moisture, which affects the amount of rainfall. Thus, the combination of warm temperatures and rain can cause floods. Hoelzle said that his group planned to check areas near the Ala-Archa gorge not far from Bishkek, but the two bridges were completely destroyed due to flooding. The professor forecasts the frequent disasters in the Central Asia region in near future. This challenging environmental disaster is forcing many countries take necessary steps, including constructing dams and retaining water in reserves such as in the Toktogul reservoir. Hoelzle also participates in the CATCOS project (Capacity Building and Twinning for Climate Observing Systems), which aims to improve the capacity for measurements of greenhouse gases, aerosols, and glacier mass balances in different regions of the world with data gaps. CATCOS includes resuming glacier measurements, focusing on the most important glaciers in Kyrgyzstan. As a result of CATCOS monitoring, Hoelzle predicted that the process of rapidly diminishing glaciers could extend over the next 100-150 years in Kyrgyzstan. In his interview with the Central Asia Analytical Network (CAAN), Hoelzle listed the main reasons for the melting of the glaciers as the sharp rise of the air temperature, low rainfall, global warming, and increased radiation. Glacier mass balance is an important indicator of climate change. Several glaciers in Central Asia, like the Abramov and Golubina Glacier were some of the most important references for the world-wide glacier monitoring program. The Tien Shan glaciers have lost 27 percent of their total weight over the last 50 years. Half of the remaining ice in the Tien Shan glaciers may be lost by 2050, according to research. As many as 4 percent of Kyrgyzstan’s territory is made up of glaciers, including Engilchek Glacier in the Central Tien Shan Mountains (Pobeda (7439 meters) and Khan Tengri (6995 meters) of Issyk Kul Province. Some glaciers are located in the immediate vicinity of Bishkek, such as the Ak-Sai Glacier (3500 m) and Adygene Glacier (3200 m) in Ala Archa National Park. The total volume of water on the Earth is about 1.4 billion cubic kilometers, 2.5 percent of which is fresh water, totaling 35 million cubic kilometers. As many as 75 percent of the world reserves of fresh water are contained in glaciers and icebergs. Currently, more than 80 countries lack adequate water supply, and it is becoming urgent to many regions of the world due to demographic growth, global warming, and a range of other reasons. Brazil leads with 19 percent of the world's fresh water reserves, while Russia contains 10 percent and Canada, Indonesia, China each hold 7 percent. The replenishment of fresh water basically depends on evaporation from the surface of the oceans. Over 500,000 cubic kilometers evaporates from the oceans annually, while more than 70,000 cubic kilometers evaporates from land sources. If the world continues on its current track burning more and more fossil fuels and increasing the levels of pollution in the atmosphere year after year, global average temperatures could significantly rise.